The TC665 is a single PWM mode fan speed controller with FanSense™ TM technology for use with brush-less DC motors. The device allows temperature proportional speed control and therefore accomplishes lower acoustic fan noise and longer fan life. The TC665 reads the voltage provided by an external ther-mistor (or voltage output temperature sensor) and adjust sa 30% to 100% PWM duty cycle output to the fan with respect to the input temperature voltage. The PWM duty cycle can also be programmed via SMBus to allow fan speed control without the need of an external thermistor. In normal fan operation, pulse trains are present at the SENSE pin. These pulses are used to calculate the fan RPM. The fan RPM data is used to detect a worn out, stalled, open or unconnected fan. An RPM level below the user-programmable threshold causes the TC665 to assert a logic low alert signal (FAULT). Thedefault value is 500RPM. 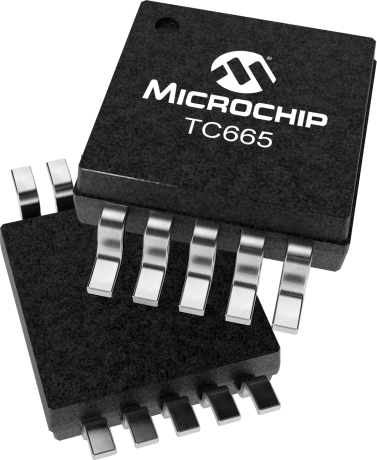 The TC665 consumes only 0.3mA during operation and can also enter a low-power shutdown mode by setting the appropriate bit in the configuration register.